Trade tensions, tariff hikes, the slowing global technology cycle and a weakened ringgit are the primary concerns of electrical and electronic (E&E) players in Malaysia. The disappointing export numbers in November last year mirrored the regional trend, but the E&E sector — which accounted for 37% of the country’s total exports — was said to be the main drag. Chip-testing company KESM Industries Bhd was quoted as saying that the US-China trade war had caused a 15% slump in chip-testing volumes over the previous six months and had led to a decline in the group’s plant utilisation. On top of that, UBS Investment Bank expects Malaysia’s exports to grow just 1% this year, due to the decline in oil prices and supply chain disruption, blamed on rising trade tensions. 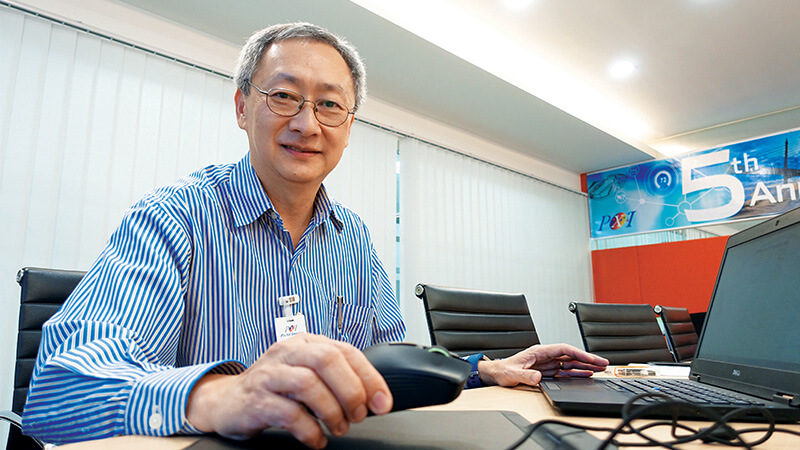 Nonetheless, industry veteran Datuk Yoon Chon Leong tells Enterprise that he does not expect a major slowdown in innovation among E&E players despite the slump. That is because many of them are getting their devices ready for the fifth generation mobile network (5G). He describes this phase as a transition stage. “There are still a lot of activities by companies trying to build and position themselves in the 5G space. 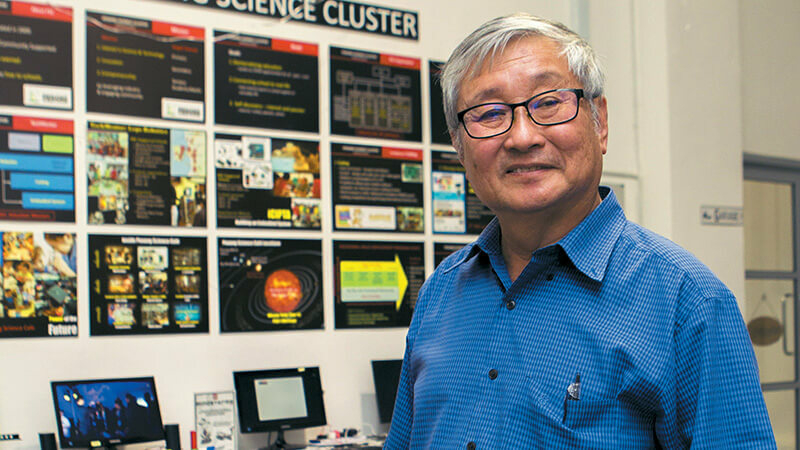 So, they can take a breather from producing more devices as consumers are waiting for the next generation of devices — those that are 5G-ready,” says Yoon. Yoon believes that the slowdown provides E&E players breathing space to develop their technologies and focus on R&D. He attributes this to the absence of a “huge distraction” in the form of orders and capacity. “When the number of orders dips and you are reasonably invested in product or technology development, you can focus more on the next generation of devices. This forces you to develop and go up the value chain,” says Yoon. Yoon does not expect growth to be fantastic in 2019 and describes it as a “flat year” for the E&E sector, mainly due to consumers holding off on purchases of electronic gadgets. “The mobile phone segment is not doing well, as reflected by the sales slump suffered by Apple and Samsung. People are not upgrading their phones and this has something to do with the global economy rather than the tech cycle,” he says. A senior technologist from Penang, who asked not to be identified, offers a different perspective. As far as he is concerned, the slump was expected. He points out that the three-month tax holiday last year had something to do with the sector’s slump. “There was a slowdown after the Goods and Services Tax-Sales and Services Tax transition and I think the November  export numbers that indicate a slump is something similar. This is due to the US tariff enforcement, which started around end-September,” he says. The senior technologist notes that many exporters in the semiconductor sector sell components rather than end-products. A chip-producing company, for example, would ship its products to China for assembly and therefore be impacted by the trade war. “You hear people saying things such as certain Asian countries are benefiting from the trade tensions, but that is not the case for these manufacturing companies,” he says. Some SMEs are benefiting from the trade tensions while others are only slightly affected, if at all. Integrated-circuit-design companies, for instance, seem to have been spared the uncertainty. “If you look at the IC design space, you would see the volume from China-based customers picking up,” says the senior technologist. How so? He says the trade tensions not only caused tariff changes but also prompted China to ban US companies dealing in technology and intellectual property (IP), which caused the US to retaliate. “Due to concerns about forced technology transfer and all that, the US government has imposed more duties on Chinese companies. “China used to buy a lot of IP and technology from the US. But now, due to trade sensitivities, it may not do so anymore. This has forced the country to develop its own technologies. To put things into perspective, he says, China has a shortage of IC designers. And although there are a number of experienced ones, they hop from one company to another, selling themselves to the highest bidder because of the great demand for their services in the market. “At a recent International Conference on Computer-Aided Design, it was mentioned that China was short of 13,000 IC designers,” he adds. The senior technologist says China looks at countries that are not too different from it in terms of culture and language and, most importantly, have talent in key areas. Malaysia and Singapore are two examples of this. “India may have a larger talent pool, but the language and culture are barriers. If you do design in China, everything is in Chinese. So, from my perspective, the immediate terms of the trade tensions work in favour of companies with the skillsets and know-how in design,” he adds. Penang-based IC design firm PixArt Imaging Sdn Bhd is weathering the tech slowdown much better than manufacturing companies. Vice-president Pan Kok Chin says that is because the company is mainly involved in R&D to come up with new products and technologies. “R&D operations are typically not affected by a slowdown. In some cases, companies may accelerate product development to generate higher growth. As an R&D company, we will review and adjust our product strategy if the slowdown causes a shift in the products required by the market,” he adds. 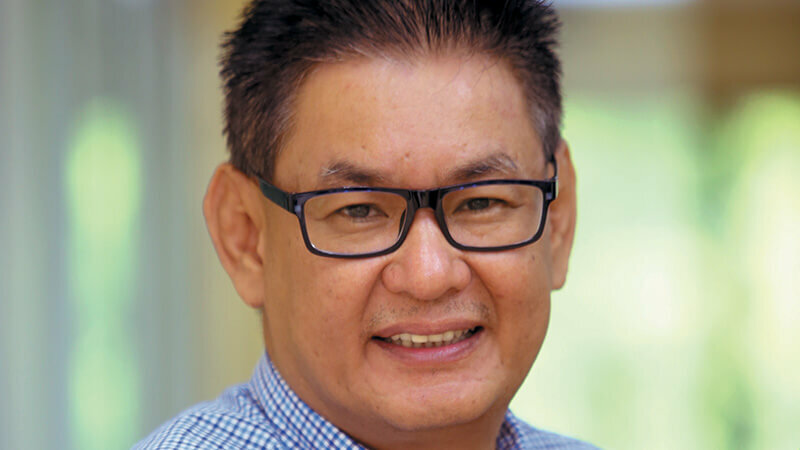 Linear DMS Solutions Sdn Bhd (LDMS) managing director Dave Choong shares a similar experience and remains upbeat about the outlook for his business this year. He says the company, a one-stop Internet-of-Things (IoT) enabler, has two segments — consumers that have been somewhat affected by the tech slowdown and industry players that have been essentially untouched. “The consumer segment means things like smart-home products — smart lighting, air conditioners and other home appliances. That is because many consumers are spending more cautiously,” says Choong. To expand its market share in the IoT space amid the slowdown, LDMS is carving out a smaller niche instead of cutting costs. Choong points out that many companies focus on product development during slowdowns and this works to its advantage. “We focus more on marketing strategies in challenging times. For example, companies that are more careful about their spending will look for technologies that will help them increase efficiency and productivity. This includes IoT, which is known to be a cost-saver,” he says. Choong expects to receive orders from companies that construct smart buildings as well as from the manufacturing and healthcare sectors. “That is why we are recruiting a lot of resellers and distributors because they will push the products to their customers. This will extend our market share,” he says. The E&E sector is divided into two areas — manufacturing and services. While some players in the services segment are thriving in the current market conditions, those in manufacturing need to play catch-up, says Yoon. He is certain that these companies are aware Malaysia cannot continue to be a low-cost manufacturing hub. He cites several reasons for the lag in achieving high-tech manufacturing status: a dependence on oil, a weakened ringgit and the huge national debt that the government is trying to pare down. “Malaysia has the infrastructure and capabilities [to level up] and is more developed than countries such as Vietnam and Cambodia. People come here because of the low cost and the effects of the trade war,” says Yoon. “We have a chance to build something here. We should invest in an environment that will make the ringgit stronger. If it returns to RM3 against the US dollar, we will no longer be a low-cost country. When a stable 5G network is in place, E&E players will have to change the way things are manufactured, he says. If they are not prepared for such an environment, other countries will jump at the chance to fill the gap. He suggests that manufacturing players quickly adopt Industry 4.0 and digitalisation. “New materials are coming in and micro-integration is getting more advanced. So, build small things such as sensors for IoT. Computers are starting to go into our components. So, we have to know how to manufacture these things,” says Yoon. LDMS’ Choong concurs, saying that the government needs to pay more attention to the needs of manufacturers. He acknowledges that manufacturing companies have grown by leaps and bounds over the years as the country has been encouraging a great deal of R&D through various technology companies. “In the last decade, many factories have moved out of Malaysia into China. These conditions and market slumps create more R&D players and innovators. So, we have already evolved, but not enough,” he says. “I think it is catastrophic for people to think we are a low-cost manufacturing country. We are not structured to be low cost,” says Yoon. He believes that talent is key to withstanding the slings and arrows of the tech downturn and economic uncertainties. Malaysia could brave these market conditions, particularly those that bring down the production volume of low-cost items, he says. “The more specialised and high value things are, the more recession-proof they are. So, we should be going into things such as artificial intelligence, financial technology (fintech) and smart factories,” says Yoon. With the right talent, Malaysia will be able to leverage its strengths in “high-mix, low-volume” manufacturing, he says. “This means things are personalised, which means doing multiple things at the same time. The by-products are much more value-added, but they are in limited quantity. So, prices are higher as they are more customised for specific markets. Yoon acknowledges that Malaysia is already transforming into a high-mix, low-volume manufacturing country. The proliferation of companies with fewer employees is a testament to this, he says. Another thing to note is that it is slim pickings for local employers in the E&E labour market as they have to compete with multinational corporations (MNCs), which are also scrambling for talent. The senior technologist admits that this is a challenge and attributes it to the government’s policy, which promotes foreign direct investment. “The country offers a very friendly environment to big corporations that come here and set up factories. These big players pay very well. Malaysia has a lot of talent, but most of them are working at these MNCs,” he says. In the IC design space, selecting the right employees will help businesses to survive and thrive, says the senior technologist who wishes to remain anonymous. But despite an optimistic outlook for his IC design firm, which is increasing its headcount rapidly, recruiting the right talent is a struggle, he admits. “If we are hiring only 5 or 10 people, it is fine. But if we take in 30 to 50 people, the training and inculturation can be very costly,” he says. Choong suggests starting the recruitment process at the university level and companies should get a move on or risk being left behind. Also, they should take into account the fact that industrial revolutions, which used to occur every century or so, are happening at a more rapid pace. “Industry 4.0 is the way forward, but its lifespan will only be 20 to 30 years before Industry 5.0 kicks in. So, we should evolve our education system in tandem with the industrial revolution and create a bigger talent pool,” he says.